The National Framework for Effective HPN Social and Behavior Change Communication was presented to the Ministry of Health and Family Welfare on December 2, 2013. The minutes from this meeting, signed by the Honorable Secretary of MoHFW, are posted here, along with the Framework diagram and narrative. 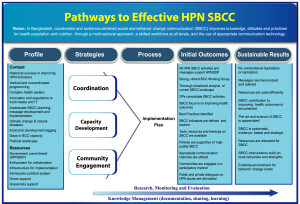 The approval of this Framework is a major achievement for the BCC Working Group, and for HPN SBCC in Bangladesh. 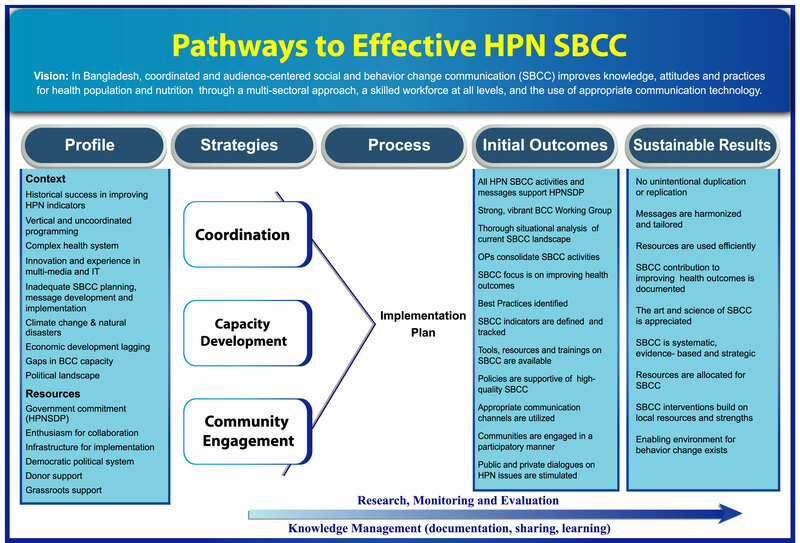 This Framework provides structure and direction for high-quality, coordinated SBCC, which will ultimately improve health outcomes among the people of Bangladesh. Additionally, it is another example of excellent coordination among the multi-sectoral members of the BCC Working Group.